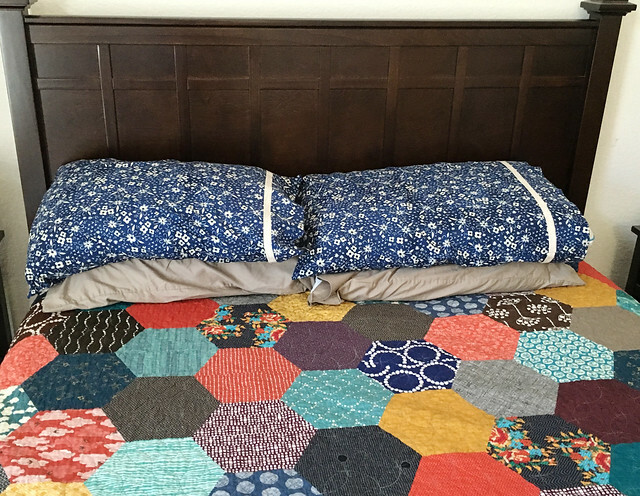 Last week I was sorting through the closet in our guest room where we keep a stack of spare pillows, and a question occurred to me: why do I have all of these old, musty pillowcases when I could have new, pretty pillowcases? 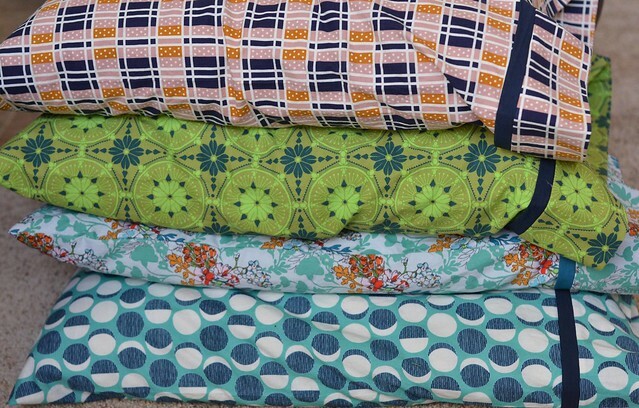 I have also been wanting to make pillowcases for my bed, so I decided to make a whole stack at once. I apologize that these photos aren't great. It turns out that taking photos of pillows is not easy, especially when all of my photo helpers are at school. The two above were made with the Fox Tracks print from Bluebird. I LOVE this print. It's my favorite color and I love the floral. Good thing my husband doesn't mind sleeping on a flowery pillow. Then I made one from Hatbox, two from Anna Maria Horner, and one from Lizzy House's Constellations. These were all 1 yard cuts that I had sitting in my cupboard that I really love, but wasn't sure when I was ever going to use. 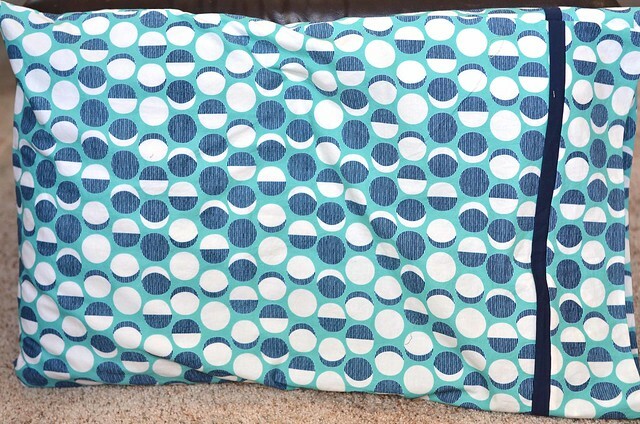 I really like this pillowcase tutorial if you are interested in making your own. In other news, there might be some changes going on around here (life changes, not sewing related changes, more info soon) and I am going to be clearing out the quilts that I have in stock. I am marking all of the quilts in my shop down 10%. I will continue to mark them down every few days until I give up and donate them. So if you are interested in a quilt, now is the time! Interested in seeing how your progressive % sale works. I have a stack of quilts that I desperately want to sell and nothing is moving right now. At this point getting anything from them is better than them jamming up my shelf space! The complete start to finish Same Day Flower Delivery experience with this florist was perfect. She is extremely friendly, service oriented, and responsive to emails & phone calls. Even with a big event they were planning for one evening she still managed to take care of my one arrangement.